I believe in forehead kisses that take you back to the moment you first fell in love. Full of sweetness, surrender & respect. Recalling that time when you almost gave up on finding love until he came along & swept you off your feet. Feeling the flutter of butterflies when he calls you "babe" & reaches for your hand on his parents' back porch. Grab hold & don't let go, adventures await. Callie, like me, adores all things Southern. And nothing shouts "Southern" quiet like a white house complete with a wrap-around porch & large oak trees drenched in Spanish moss. Insert the The Swift-Coles Historic Home as the perfect backdrop for their session. 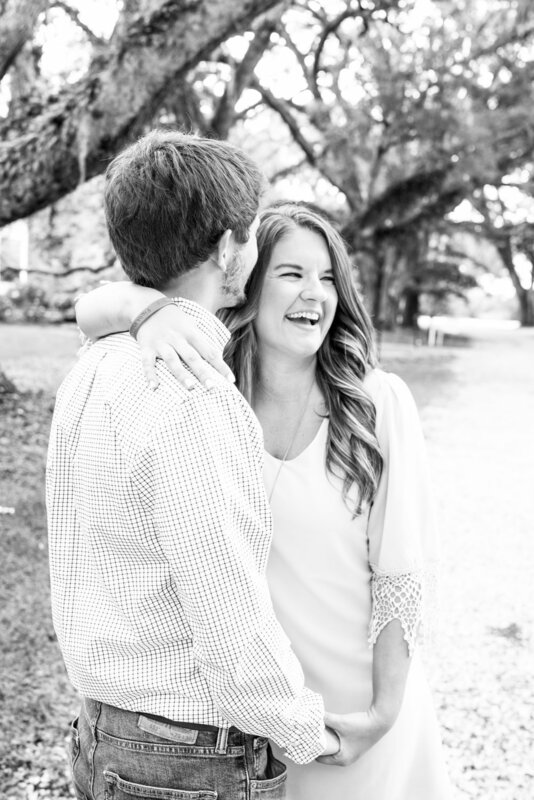 Super excited to capture Callie & Jordan's wedding day this fall! Enjoy a few of my favorites from their engagement session. I believe in growing old with the one you love. Living each day by putting each other's needs above your own. Striving to make Christ known in your marriage & holding on tight through the hills & valleys.